Monday Poll: Enjoying More – New Hangouts or New Google Music All Access? Now that you have had four or five days to fully dive into two of Google I/O’s biggest announcements – Hangouts and Play Music All Access – we thought it was time to see who is garnering most of your attention. I’ve fully committed to the new Hangouts and am already figuring out how to convince friends and family to make the permanent switch over. All Access on the other hand is sitting in limbo on my devices, since it is not compatible with the Nexus Q for the time being. See, I use Google Music quite a bit in my office, but only through the Q, so I’m unable to take advantage of my free trial at this point. I’d certainly like to use the hell out of it – just can’t for now. Tim on the other hand, is an All Access machine and couldn’t stop using it the entire time we were at I/O. So what about you? Are you using both? If so, which is taking up most of your time? 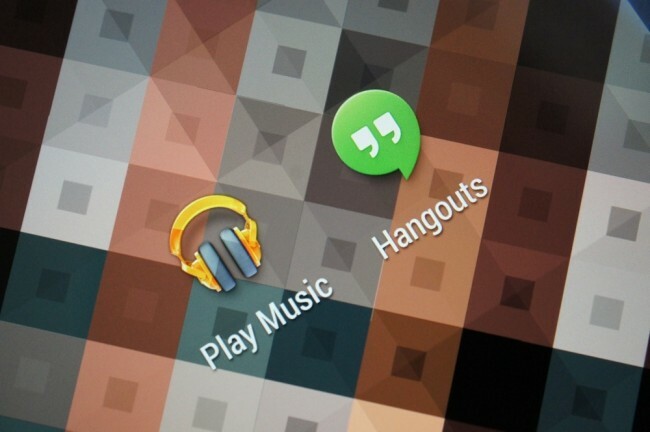 Enjoying More - New Hangouts or New Google Music All Access?